People often think that working in fashion means frolicking amongst bolts of fabric, working in fancy, modern offices, having a staff like that of “The Devil Wears Prada,” and constantly hanging out with beautiful models… all while drinking cocktails, of course. That would be nice, if it was true. The local fashion professional has to be just as up-to-date on business trends as their are on fashion trends. 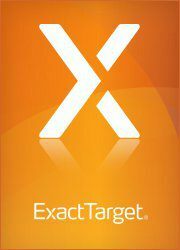 Recently, Kyle Lacy and Elizabeth Music from Exact Target produced a report: “Retail Touchpoints Exposed”. The data presented is valuable. But how does it relate to the local small fashion business in Indianapolis? Download the full report (free), and give yourself some time to sit, read, and process the data presented. The report breaks down the strengths and weaknesses regarding how the top 100 growing retail companies are connecting and engaging with their customers. The data is from companies that have a budget for marketing – a budget that local boutiques would consider a dream! But there are still valuable lessons to be learned for small businesses. Just as large chains compete for business in an environment where powerful social media outlets are literally in the palm of the consumer’s hand, small local businesses are also trying to compete for a portion of those respective customers. They just have to be more creative. Fundamentally, the battle between the little guy and the corporation comes down to the palm of the consumer’s hand. There are 5 identified touchpoints used to engage with the customer: 1) In-Store, 2) Website, 3) Email, 4) Mobile, 5) Social. In a city like Indianapolis, where the local boutique culture is growing, fighting for customers to experience something besides their go-to chain store is a challenge. The local boutique has a better opportunity when making face-to-face connections… but is that enough when the majority of shoppers have access to your corporate competitors from their phone? The way that local businesses use these five opportunities will effect their success in building loyal customers. Consumers from a wide range of social sites are coming to your business or webpage. So, make it easier for them to share and link to all the major social networks. What are you, as a business owner or brand manager, doing to encourage your customers to share your brand on these different networks? Furthermore, are you making it simple to do so? Think of each network as a different type of consumer. A brand or business can’t have the same marketing plan for all the social networks. Consumers interact differently on Facebook, Twitter, and Pinterest – the brand has to adapt. Who is your customer and what outlet do they use most frequently? The fashion industry as a whole is lacking a bit in our ability to creatively use social media strategies. Be creative and experiment with what works best for your company. What works for one local boutique might not work for your unique consumer. EXPERIMENT! Email can be the most effective way to engage with consumers and turn them into brand-loyal customers. The report also included data explaining why email is the most effective way to engage consumers. Having data on your consumers is key to successful marketing and promotions. A small boutique could find great value in building an email database. The report gives more detailed recommendations of how to successfully use the 5 identified touchpoints on a large scale, but the same advice can be applied to the small business. The local fashion business can’t afford to slack – we have to stay on our A-game when engaging with consumers! One negative review on any of the networks can be a huge blow (especially in a market like Indy where consumers are so interconnected). However, the size and connectivity of our fashion community does have its benefits: if you have a quality product or service and engage well with your consumers, then a loyal consumer-base will quickly follow. There is an abundance of profit-potential floating around the (free) social networks. Local small businesses should be figuring out how to master this free money. Previous articleInspirare: A win or lose for designers?